On Thursday, Brian McCann was officially introduced and actually became the first member of the Yankee organization to acknowledge Jacoby Ellsbury was a Yankee now as well. Soon after, we wondered if the Yankees had made any progress with Robinson Cano, only to learn that he was on his way to Seattle. 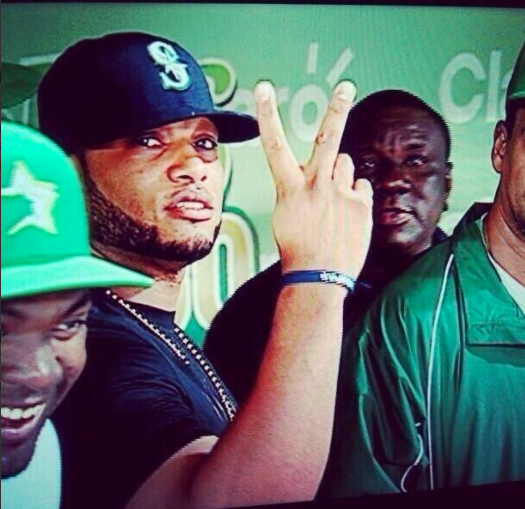 Thursday night Cano and Jay-Z met with the Mariners brass and a deal appeared close. Friday morning, the deal was falling apart. Later Friday morning, it was back on. Before Friday morning was over, Cano was a Mariner for the next ten years. By Friday night, Carlos Beltran was a Yankee. Somewhere in between, the Yankees had a deal to bring back Hiroki Kuroda. Oh, and Curtis Granderson also signed with the Mets. Pardon me while I take a moment, to collect myself. Okay, so now the important question–are the Yankees better? Well, a lot of people said and wrote before that the Yankee off-season could not be a success with Cano playing somewhere else, and some still believe that to a degree. They needed significant upgrades even with Cano, and now have to fill that void too. Yes, they are somewhat better. They have improved at catcher and their outfield is better. The infield still has some questions, especially with the known returnees Derek Jeter and Mark Teixeira coming off major injuries. The pitching still has some holes, namely at least 1 quality starting pitcher with 30 start durability, and some extra bullpen arms after the losses of Joba Chamberlain, Boone Logan, and that other guy who used to wear 42. The Yankees still have work to do. And to see how much money they’ve sunk into this already and all the holes they still have to fill kind of shows you what a smoke and mirrors trick it was to get 85 wins out of the 2013 team. That’s 15 different players between those two lineups, and you can probably only guarantee that Alfonso Soriano and Brendan Ryan are on the roster next Opening Day, let alone the starting lineup. That’s an amazing amount of turnover. Is there a possibility the Yankees have nine completely different names for Opening Day in just one year? The Yankees are in transition like we haven’t seen before, not even after 2008. With the core of this team either coming off injuries or suspensions/appeal hearings/other legal proceedings, it is an unbelievable revamp. And, again, the Yankees aren’t done. Let’s face it–this Yankees off-season is more exciting than the regular season. Too bad they can’t sell tickets to watch this stuff.